Innovative Rotherham-based company, Metalysis and LPW Technology, another metal powder specialist, have formed a collaboration which has the potential to revolutionise the Additive Manufacturing (AM) market. Established in the UK, LPW Technology has been pioneering the use of Laser Deposition solutions since 2007 and is a leader in the development, optimisation and supply of metal powders. 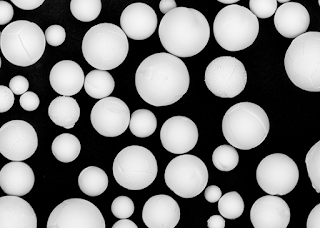 The partnership will develop an alternative supply chain for clean, spherical Tantalum and Tungsten powders for quality critical applications. It will combine Metalysis' unique metal production technology with LPW's spherodisation and post-processing capability. LPW will be responsible for selling the optimised powder to the AM market. The Manvers plant recently began producing tantalum powder, the first new primary tantalum metal production plant in Europe for more than 30 years. LPW will be able to spherodise, size and blend high quality, free flowing powders directly from the raw material and alloys. Dion Vaughan, chief executive at Metalysis, said: "The strategic collaboration between LPW and Metalysis will seek to develop and build the additive manufacturing market for tantalum and its alloys by pooling resources. We believe that LPW's market expertise will complement Metalysis' experience in metal powder production to further the development of AM." Dr Phil Carroll, managing director at LPW, added: "Metalysis offers a greener and more cost-effective process, add our specialist industry knowledge and we can then supply a range of high quality, specially developed powders for the additive manufacturing industry."